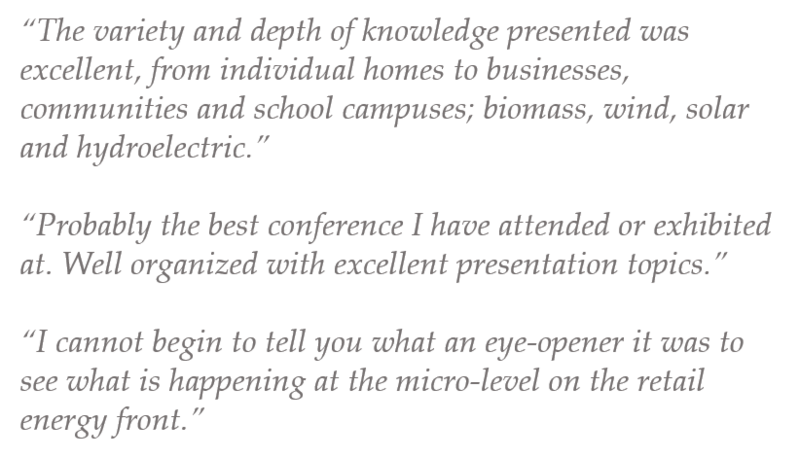 This conference provides a unique setting for collaboration and emphasizes the importance of transparent communication, cross-boundary support and a strategic approach to addressing the energy and economic issues common to northern New York regions. Since incorporation in 1955, ANCA has developed and managed programs across all 14 counties in Northern New York State, successfully “investing” millions of dollars from federal and New York State grants as well as private funding, to support community economic development across the region. ANCA’s portfolio of programs, as well as its strength in fostering dialogue and effective partnerships, bring together the many components that are needed to build stronger, more self-reliant and localized economies throughout the 14-county region. The Capital District Regional Planning Commission (CDRPC) is a regional planning and resource center serving the upstate New York counties of Albany, Rensselaer, Saratoga and Schenectady since 1967. CDRPC provides objective analysis of data, trends, opportunities and challenges relevant to the Region’s economic development and planning communities. CDRPC serves the best interests of the public and private sectors by promoting intergovernmental cooperation; communicating, collaborating, and facilitating regional initiatives; and sharing information and fostering dialog on solutions to regional problems. CDRPC provides added capacity to local municipalities through its regional coordination programs. By partnering with CDRPC, local municipalities are able to leverage the expertise of a full-time professional planning staff with significant network resources to provide added benefit to the work that is done day-to-day here in the Capital Region. Return to conference home page.